For the last 5-6 years the landscape in the BI and Analytics market changed dramatically due to its steady growth (10% or more per year, while software industry as whole has been much slower) and has now almost doubled in size (to about $10B), due acquisitions (BO, Cognos, Hyperion, Spotfire, ProClarity, SSPS, Applix, etc.) and growth of smaller players like Qliktech and Tableau(e.g. Qliktech sales grew 10 times since 2005)! 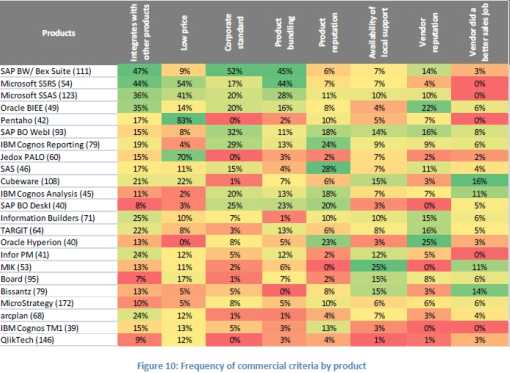 while Microstrategy (closer to 4%) and Information Builders got about 3% of BI market each. After IPO Qliktech actually reached $2B in market capitalization, twice of nearest rival (Microstrategy Capitalization is about $1B and 73% of Microstrategy’s revenue coming from services and maintenance fees as oppose to software sales) and it sales exceeded $200M/year, so it is about 2% of market now. 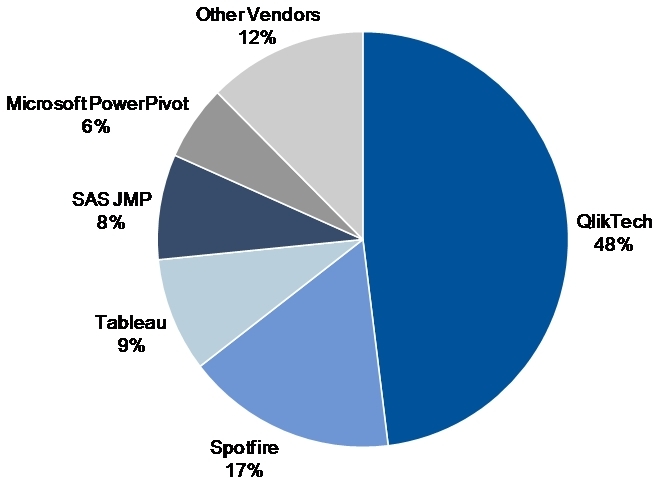 Actuate (BIRT) has slightly more than 1% and TIBCO’s BI sales (mostly Spotfire-related tools) close to 1% of BI Market. However fastest (123% YoY in Q3 of 2010) growing BI vendor is Tableau Software, which is so far much smaller than 10 BI vendors above. June 2011 Update: In June 2011 Gartner finally (better late then never!) 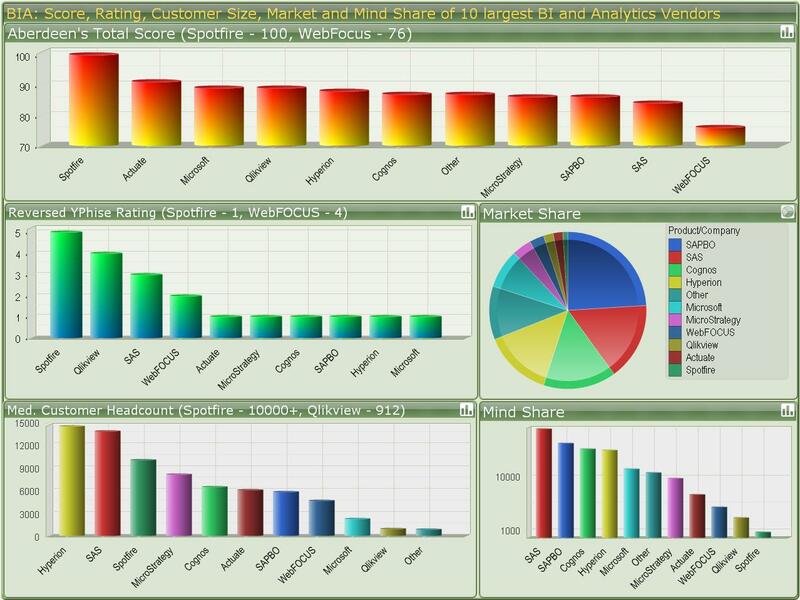 recognized the Difference between BI and DV market, but attempts to call DV market as “Data Discovery Market” (for obvious and funny reason: SAS is one of Gartner’s biggest paying customer and SAS’s DV toolset called “Visual Data Discovery”, for which SAS’s JMP – see Pie Chart below – is a mandatory front-end).